Maui Now : Maui Flood WARNING Extended to 7:30 p.m.
Maui Flood WARNING Extended to 7:30 p.m. The National Weather Service in Honolulu has extended a Flash Flood Warning for The island of Maui in Maui County Until 7:30 p.m. The gauge at the Wailuku River at the bridge just below Kepaniwai Park has risen to 9.12 ft at 1:20 p.m. on Thursday, Feb. 14, 2019. * At 413 PM HST, radar indicated heavy rain continuing over the slopes of the West Maui Mountains and windward slopes of Haleakala from Paia to Hana to Kipahulu. Stream and river gages along the windward slopes of Maui are still running high. Heavy rainfall is expected to continue through this evening. * Locations in the warning include but are not limited to: Kahului, Honokohau, Lahaina, Haliimaile, Paia, Makawao, Wailuku, Olowalu, Waihee, Kaanapali, Pukalani, Hana, and Kipahulu. At 3:04 p.m., radar indicated heavy rain continuing over the slopes of the West Maui Mountains and windward slopes of Haleakalā from Paia to Hāna to Kīpahulu. Stream and river gauges along the windward slopes of Maui are still running high. Heavy rainfall is expected to continue through the afternoon. At 1:35 p.m., radar indicated heavy rain continuing over the slopes of the West Maui Mountains. Heavy rain was also along the windward slopes of Haleakala from Pāʻia to Hāna, and from Hāna to Kīpahulu. Stream and river gauges along the windward slopes of Maui are running high. Heavy rainfall is expected to continue through the afternoon. 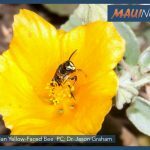 * Locations in the warning include but are not limited to…Kahului, Honokōhau, Lahaina, Hāliʻimaile, Pāʻia, Makawao, Wailuku, Olowalu, Waiheʻe, Kāʻanapali, Pukalani, Hāna, and Kīpahulu. The National Weather Service has extended a flood advisory for the island of Maui until 3 p.m.
At 11:52 a.m., radar indicated that heavy rain was persisting over the north and northeast facing slopes and coasts of Maui, with showers also spreading to leeward west Maui. 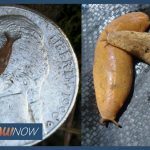 “The heavy rain is banked along the slopes of the west Maui mountains, upslope of communities from Wailuku to Waiheʻe to Kahakuloa to Nāpili,” according to the NWS. The agency says additional heavy rain is along the windward slopes of Haleakalā from Nāhiku to Makawao. Rain was falling at a rate of 1 to 2 inches per hour. Locations in the advisory include but are not limited to: Honokōhau, Kahakuloa, Hāliʻimaile, Pāʻia, Makawao, Wailuku, Waiheʻe, Kāʻanapali, Kula, Lahaina, Pukalani and Nāpili-Honokōwai. 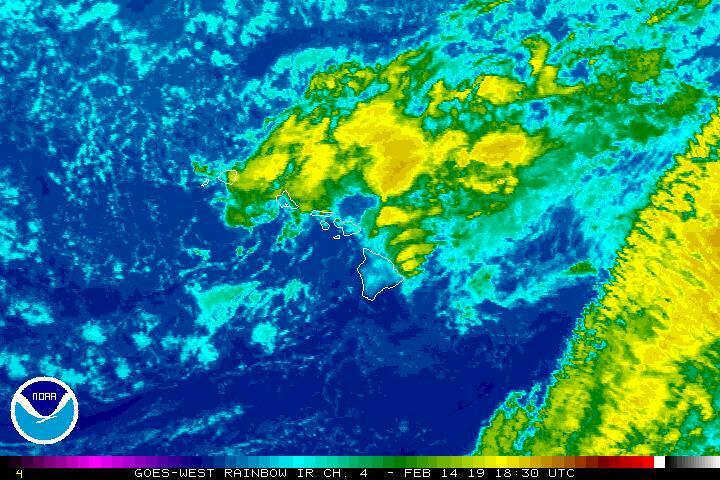 A flood advisory has been issued for the island of Maui until noon on Thursday, Feb. 14, 2019. The National Weather Service reports that as of 8:55 a.m., radar indicated heavy rain over the north and northeast facing slopes and coasts of Maui. The NWS reports that additional heavy rain is along the windward slopes of Haleakalā from Nāhiku to Makawao. Rain was falling at a rate of 1 to 2 inches per hour. Locations in the advisory include but are not limited to: Honokōhau, Kahakuloa, Hāliʻimaile, Pāʻia, Makawao, Wailuku, Waiheʻe, Kāʻanapali, Kula, Pukalani and Nāpili-Honokōwai. flooding. Rainfall and runoff will also cause hazardous driving conditions due to ponding, reduced visibility and poor braking action. 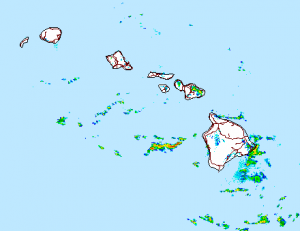 Flood Advisory for Molokai Until 1:30 p.m. The National Weather Service has also issued a flood advisory for the island of Molokaʻi until 1:30 p.m. At 10:36 a.m., radar indicated moderate to heavy rain persistently affecting the eastern half of Molokaʻi, with rainfall rates near 1 inch per hour. Locations in the advisory include but are not limited to: Hoʻolehua, Kawela, Kualapuʻu, Kalaupapa National Park, Pūkoʻo, Hālawa Valley, Kaunakakai, Kamalo and ʻUalapue. 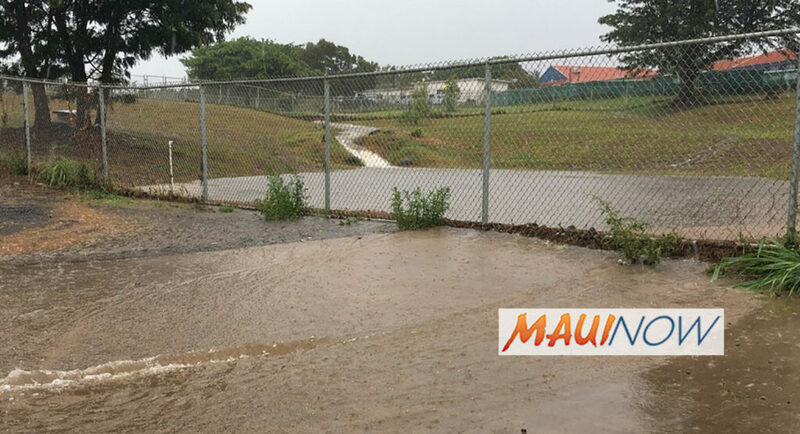 Maui Flood Warning Issued Until 11:15 p.m. 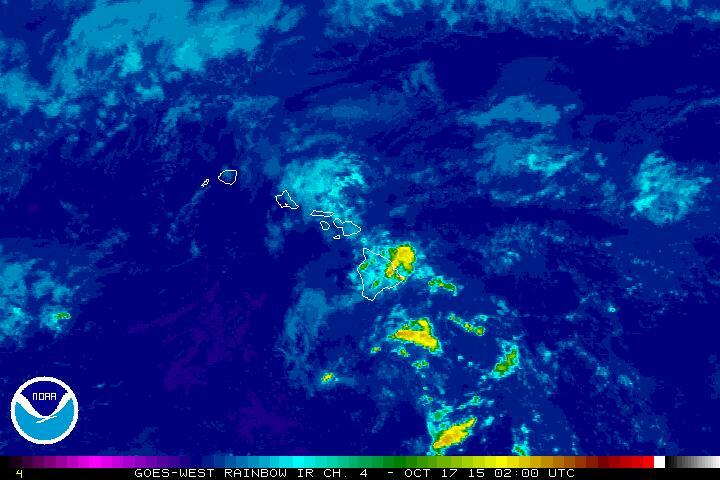 Flood Advisory for Parts of Maui Extended to 4 a.m.